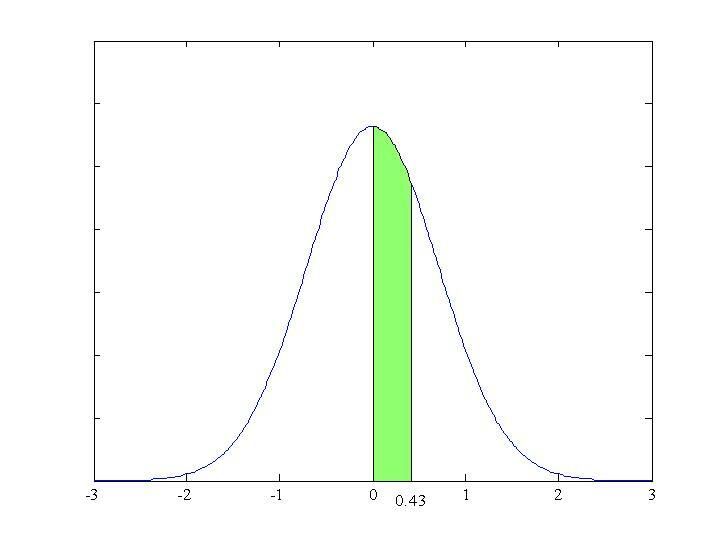 The Normal Distribution is a continuous variable distribution which occurs very frequently. It models, for example, the distribution of heights of people, the weights of similar animals, and measurements on machine produced items. 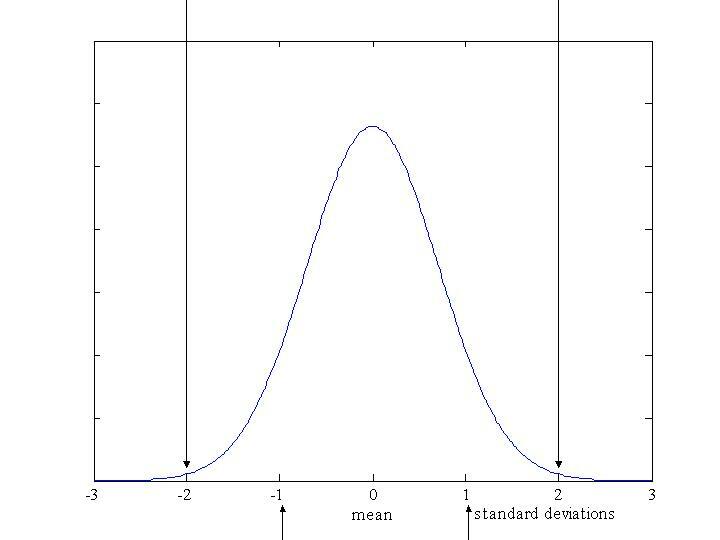 approximately 99.5% of values lie within 3 standard deviations of the mean. 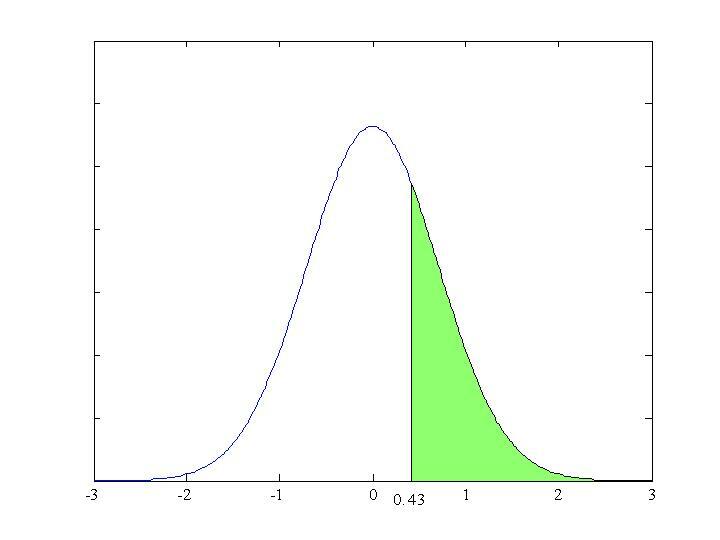 When doing any question involving the Normal Distribution it is recommended that you draw a small sketch first. What proportion be between 155cm and 167cm tall? Answer: 68%. 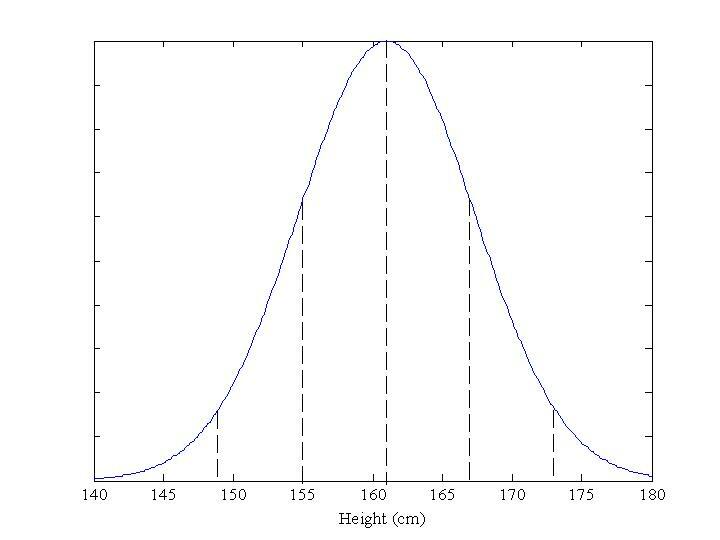 Normal Distribution tables use the standard normal distribution with a mean of 0 and a standard deviation of 1. The table shows the values of z which measures the distance from the mean in standard deviations. The shaded area, A, gives the probability that z is greater than the given value. This is only a small extract. To find means "find the probability that z is greater than 0.43". The graph representing this is shown below. Look along the 0.4 row and under the .03 column. The number you will find is 0.3336 which is the required probability. To find the probability that z is a value less than 0·43, we take 0·3336 from 1. Sometimes we want to know the probability that z is a value between 0 and another number, e.g. 0 and 0·43, as shown in the graph below. where is the standard deviation and is the mean.